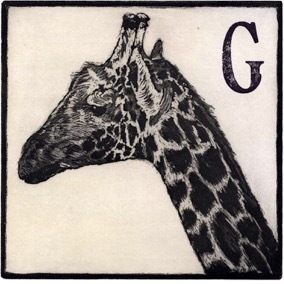 G is for Giraffe, as we all know from children’s books. Here in Suffolk we have a surprising number of the world’s tallest terrestrial animals – alive, dead, and eponymously. And on 21st June 2017, as well as enjoying Suffolk Day and the Summer Solstice, we have another reason to celebrate. It’s World Giraffe Day, chosen because it is the longest day of the year.